That’s exactly right. Writing a biography — or, truly, intense research of any kind — is detective work. It’s extremely absorbing, getting a lead, following it to a new source, finding connections between lives and ideas. You are on a quest, and you must keep going until you finish! But dedication to the quest also takes its toll. 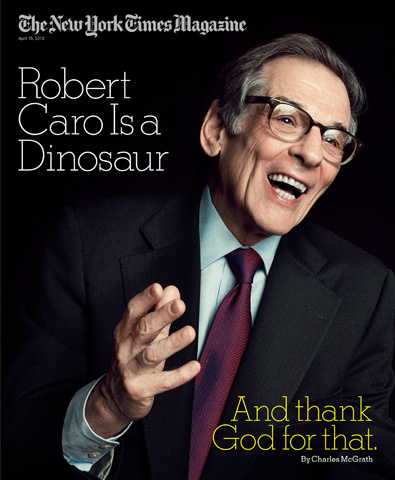 As Charles McGrath reports in today’s New York Times Magazine profile of master biographer Robert Caro, researching and writing the third volume of The Years of Lyndon Johnson had taken so long that Caro and his wife went broke. She sold their Long Island home, found them a cheaper apartment in the Bronx, and got a teaching job to help pay the bills. The biographer — obsessive, driven, seeking every last detail — often depends upon a patient, supportive spouse. It’s no coincidence that my forthcoming biography, Crockett Johnson and Ruth Krauss: How an Unlikely Couple Found Love, Dodged the FBI, and Transformed Children’s Literature, is dedicated to Karin. Who else but one’s partner would put up with such fanatical devotion to a book? 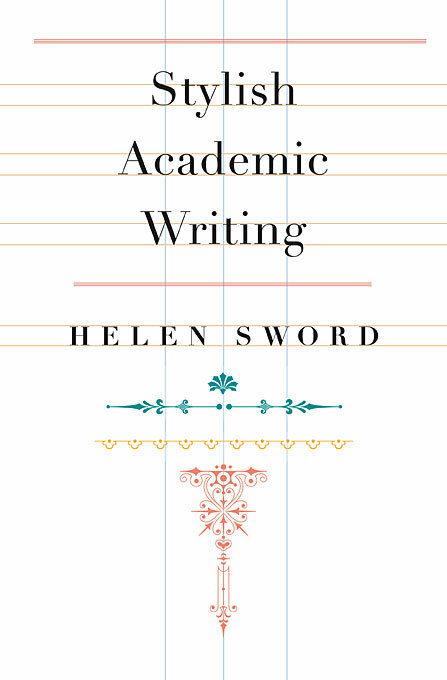 This process recalls a line in a recent Times Higher Education piece on academics: “the idealised academic has no ties or responsibilities to limit their capacity to work.” This is equally true of the biographer. For both the professor and the biographer, there is no boundary between life and work. Your life is your work and your work is your life. Or, in the case of the biographer, your work is someone else’s life. You know that insane old expression, “The quality of his defect is the defect of his quality,” or something like that? That’s really true of Bob [Caro]. What makes him such a genius of research and reliability is that everything is of exactly the same importance to him. The smallest thing is as consequential as the biggest. A semicolon matters as much as, I don’t know, whether Johnson was gay. Beyond providing a helpful context for my own battles with Walter (my editor for the bio), this explains my own process to me. It’s not just about perfectionism. It’s about getting it right. And everything matters: Structure, word choice, punctuation, which detail gets retained and which one gets cut. Caro had to cut 350,000 words from The Power Broker: Robert Moses and the Fall of New York. He tells McGrath sadly, “There were things cut out of ‘The Power Broker’ that should not have been cut out,” and then shows him “his personal copy of the book, dog-eared and broken-backed, filled with underlining and corrections written in between the lines. Caro is a little like Balzac, who kept fussing over his books even after they were published.” It would be an understatement to say I can relate to that. Though I had to cut far fewer words from my biography of Crockett Johnson and Ruth Krauss, there were things cut that should not have been cut. And I’ve seriously thought of marking up a published copy (due this September) to fix those omissions, or infelicitous changes in phrasing introduced during the copyediting (the copyeditor was unusually fond of passive voice). In looking at the proofs, I thought: Why did I allow the excision of Johnson’s favorite book, George and Weedon Grossmith’s The Diary of a Nobody? 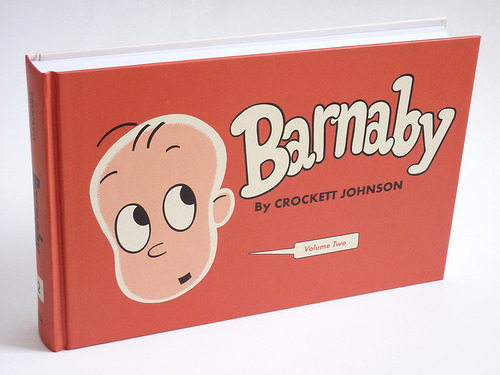 My main reason was (and is) the fact that I can include it — and its satirical style’s influence on Johnson — in one of the afterwords for the 5-volume The Complete Barnaby. It’s hard to let this go, and I’m fortunate to have the luxury to hang on a bit longer. As de Waal writes near the end of his book, he has the feeling that he should “Just go home and leave these stories be. But leaving be is hard” (346). Masterful. I favor tighter sentences myself, but his epic style works well with his subject. We readers know that, in a few moments, President Kennedy will be assassinated; later that day, LBJ will become president. And Caro knows we know. So, he allows our knowledge to inform the scene, and instead focuses on creating Johnson’s (likely) experience at that moment — enduring the relative powerlessness of the Vice-Presidency. De Waal writes lyrically and with great insight into what it means to be human. Early in the book, he observes, “Melancholy, I think, is a sort of default vagueness, a get-out clause, a smothering lack of focus. And this netsuke is a small, tough explosion of exactitude. It deserves this kind of exactitude in return” (16). Later, he considers his great grandparents, in Vienna, in the early 19-teens. The “more assimilated Jews [the great grandparents] worry about these newcomers,” he writes: “their speech and dress and customs are not aligned to the Bildung of the Viennese. There is anxiety that they will impede assimilation.” At the end of this paragraph, de Waal concludes, “Maybe, I think, this is anxiety from the recently arrived towards the very newly arrived. They are still in transit” (188). Describing his grandmother’s decision to burn letters from her mother (in part, he suggests, because they may mention the great-grandmother’s lovers), de Waal confesses, “There is something about burning all of those letters that gives me pause: why should everything be made clear and brought into the light? Why keep things, archive your intimacies? … Just because you have it does not mean you have to pass it on. Losing things can sometimes gain a space in which to live” (347). This is the big conundrum of the researcher. To throw out or to keep? I tend towards the latter. (If I throw it out, I might need it later.) But de Waal is right: being encumbered by research (books, articles, photocopies from archives, etc.) grants one little space to live. Further, the time required to sustain research affords little time to winnow out and throw out. It’s hard to manage your archives and move forward with the next project — to say nothing of grading, teaching, editing, committee work, or, say, having a life. So we keep things. However, as Robin Bernstein observes in her Racial Innocence: Performing American Childhood from Slavery to Civil Rights (2011), things are bearers of stories. And, as de Waal notes, “It is not just that things carry stories with them. Stories are a kind of thing, too” (349). They are. And they’ve been on my mind because — for any of my readers who may be in or near Manhattan Kansas next week — I’m giving a talk on this very subject, at 4pm, Tuesday, April 24, in the K-Sate Student Union’s Little Theatre. 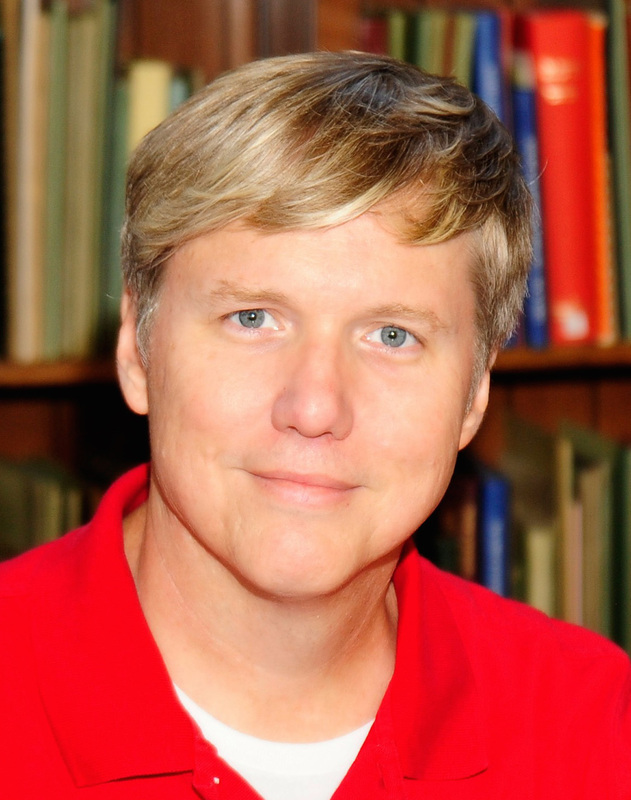 The title is “Collaborating with the FBI, Reading Other People’s Mail and Taking Children’s Literature Seriously: Tales from Writing the Biography of Crockett Johnson and Ruth Krauss.” Free and open to the public. My talk will run about half an hour. There’ll be lots of stories. The index and (now proofread!) page proofs for Crockett Johnson and Ruth Krauss: How an Unlikely Couple Found Love, Dodged the FBI, and Transformed Children’s Literature (forthcoming this September) are in the mail, heading back to the publisher. To commemorate this occasion, here are yet more cuts and a few other changes — most of which I’m fine with, but others of which inspire more mixed feelings. First, some cuts! I started sketching categories for the index long before the book went into copy-editing phases; as a result, there were names in my draft of the index that no longer appear in the biography. Here are some of those names and the cuts that prompted their omission. Ruth [Krauss] seems to have adapted her book herself: a draft of the lyrics, in her hand, appears on the back of some notes and sketches for Is This You? That said, the Children’s Record Guild’s archives have an unsigned contract that credits Ray Abrashkin for writing the record. Perhaps they collaborated? Ruth and Dave also saw Marc socially. He recalled accompanying them to “a party in Greenwich Village, where a group of young men were doing a farewell party for Truman Capote.” They had prepared “big signs saying ‘Ciao,’” suggesting that the party was in February 1949, when Capote was leaving for Italy. But Capote didn’t show up. If Capote had shown up, this would have been worth including. He didn’t. So, cutting this makes sense. One of Johnson’s favorite books. Since I can work this into one of the Complete Barnaby afterwords, I agreed to omit it from the bio. If I hadn’t had the Barnaby option, then I would have certainly argued that it remain — a writer’s favorite book should be included in the biography of that writer. Surrealist and father of Jimmy Ernst, who is in the book, as is Jimmy’s spouse, Dallas Ernst. Flaxer was a union organizer and the second husband of Crockett Johnson’s first wife. The co-authors of The Diary of a Nobody (see above). No trace of this paragraph remains. Before traveling abroad, Dave and Ruth began speaking out at home. Though they likely voted for President Johnson in 1964 (or, certainly, against Senator Barry Goldwater), Dave and Ruth started opposing Johnson’s foreign policy before his new term began. After the North Vietnamese’s alleged attack (which in fact never occurred) in the Gulf of Tonkin, the August 1964 Gulf of Tonkin Resolution gave the president carte blanche to escalate the Vietnam War. Though the vast majority of Americans supported this, Dave and Ruth did not. In late December 1964 or early January 1965, Dave was among the 75 national initiating sponsors of the Assembly of Men and Women in the Arts, Concerned with Vietnam. 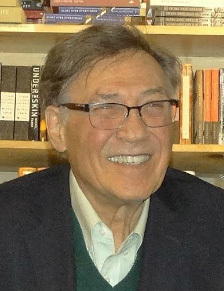 Joining him were old friends Kay Boyle, Antonio Frasconi, and Ad Reinhardt; New Masses-era colleagues Maurice Becker and Rockwell Kent; and Ray Bradbury, Lawrence Ferlinghetti, Allen Ginsburg, E. Y. Harburg, and Tillie Olsen. Before departing, however, they began speaking out against the Vietnam War, which had begun to escalate with the passage of the Gulf of Tonkin Resolution in August. In late December 1964 or early January 1965, Johnson was among the seventy-five national initiating sponsors of the Assembly of Men and Women in the Arts, Concerned with Vietnam. Joining him were old friends Kay Boyle, Antonio Frasconi, and Ad Reinhardt; New Masses-era colleagues Maurice Becker and Rockwell Kent; and Ray Bradbury, Lawrence Ferlinghetti, Allen Ginsburg, E. Y. Harburg, and Tillie Olsen. In retrospect, I wish I’d pushed back more on this one — and I encountered several such moments in the page proofs. However, the copyedited text arrived with a quick deadline when I was already very, very busy. I did my best, but had I more time to consider, I suspect I would have resisted a bit more. Ah, well. The copyeditor did make many improvements to the text. At the page proofs phase, I of course notice only the changes that I dislike. And I’ve changed some of those in the proofs phase — but only the critical ones, since changes at this stage require more labor from the press. 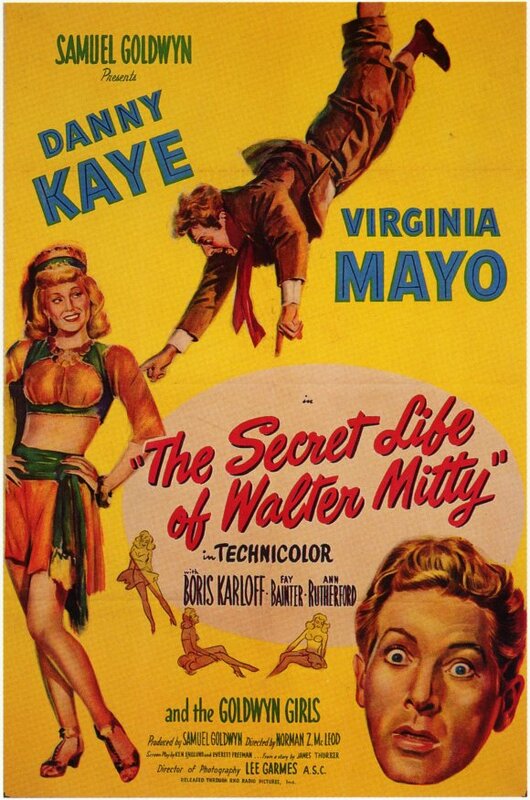 Reviewers compared Ruth Krauss’s The Great Duffy (1946, illustrated by Mischa Richter) to James Thurber’s The Secret Life of Walter Mitty, which was adapted into a film starring Danny Kaye. The Mitty film (1947), I had written, may be one reason why Krauss’s film treatment of her own The Great Duffy didn’t get picked up. But that’s purely speculative. Mention of her film treatment remains, but the Mitty movie has departed. The first book written and illustrated by Maurice Sendak. Introducing the reviews of Ruth Krauss’s I Want to Paint My Bathroom Blue (which he illustrated and which was published the same year), I had the following sentence: “Much praise went to Sendak, whose first picture book, Kenny’s Window (1956), won an honor award from the New York Herald Tribune Book festival that spring.” That’s gone, and so is the need for this reference in the index. The first sentence remains in the book; the second sentence has been cut. So, in this case, we’ve gone from a paragraph to a sentence fragment to… nothing! I was able to assemble quite a thorough genealogy of Crockett Johnson, but how interesting is this? To me, very. To others, not as much. So, it’s gone. Art Young was a mainstay of The Masses, but also contributed to New Masses while Johnson was editor. Young is still in the book, but the reference to his earlier career has left. In a discussion of a 1948 Barnaby narrative, I’d invoked the great Preston Sturges film Sullivan’s Travels (1941, starring Joel McCrea) as a point of comparison. The entire paragraph is gone, but a version of it will return in The Complete Barnaby, Vol. 4: 1948-1949. I’m completely fine with this cut. Krauss studied violin at the Peabody Conservatory of Music — Mencken was a frequent visitor at the time. Himself a pianist, he was also friends with Gustav Strube, Peabody teacher (and conductor of the newly established Baltimore Symphony). And he knew some of Krauss’s teachers at Peabody, too. This deserved to be cut because the connection to Krauss is far too tenuous: sure, she likely attended the same symphony concerts as Mencken, and may have been aware of his Peabody connections. But these connections are not sufficient to keep Mr. Mencken in. 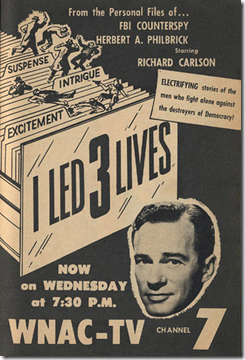 As Herbert Philbrick notes in his memoir, I Led Three Lives (the basis for the Emmy-nominated TV series, 1953-1956), being a successful informant requires convincing the Communists of one’s loyalty: obvious visits from federal agents would give the game away. Is it necessary? No. And so, it’s gone. Book by Daniel E. Schneider, Ruth Krauss’s psychoanalyst — the biography still includes a brief quotation from the book, but its title is now relegated to a citation. Johnson was friends with Fred Schwed, Peter’s brother. But Peter — a Simon & Schuster editor — appeared in the context of his fellow Simon & Schuster editor Jack Goodman. Goodman & Fred Schwed remain in the book, but Peter’s gone. Incidentally, Fred Schwed is author of the classic satirical look at Wall Street, Where Are the Customers’ Yachts? (1940, repub. 1955). 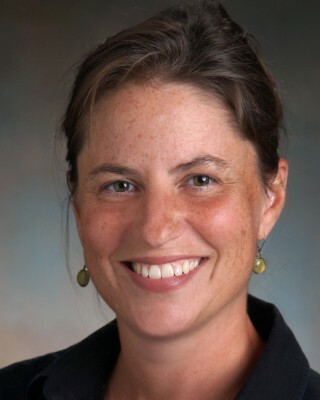 Spouse of documentary filmmaker Gene Searchinger. The Searchingers went on a vacation with Johnson and Krauss in the early 1950s, but that trip got cut. Gene Searchinger is still in the book, though. A number of his conversations with Johnson were quite illuminating. I was saddened to discover, a few months ago, that Mr. Searchinger passed away in 2009. I really enjoyed talking with him, and I think he would have enjoyed the biography. In 1938, New Masses was planning an art supplement, thinking that such a feature might draw in more readers. Johnson and contributing editor Herman Michelson went to the Weyhe Gallery to talk to Carl Zigrosser about this. This entire paragraph has been cut. Incidentally, someone looking for a project should consider publishing either all of or simply extracts from Zigrosser’s diaries. I read them on microfilm in the Smithosnian’s Archives of American Art. Meticulous, and fascinating. Zigrosser knew everyone. Ruth Krauss and Crockett Johnson went to parties thrown by Willard Maas and Marie Menken. So did Andy Warhol and Paul Zindel. Warhol’s still in the book, but the copy-editor cut Zindel. I let it stand, but now doubt that decision. Adding passive voice. I suspect that this may from the copy-editor’s training in history, although I cannot say for certain. I use passive only very rarely. I restored most of my active voice, but sometimes let passive sentences stand. In the proofs, I caught a number of instances in which traces of both sentences were there. When I caught them, I crossed out the passive verb so that the text made sense. I suspect, though, that I may have missed some. Making my sentences needlessly long. I suspect that this, too, may derive from the copy-editor’s training in history — but I’m not sure. My response may simply derive from the fact that I resist this trait common to an academic style. I dislike long, twisty academic sentences, and so I try to avoid them whenever I can. Making my paragraphs needlessly long. I really want the book to have paragraphs of manageable length. Cramming all the dialogue together in a single paragraph instead of treating it as dialogue. Where possible, I’ve separated conversations out again. Cutting dialogue all together. Dialogue helps create character. Some of the conversations were clearly not neccessary. But others,… I’m not so sure. For example, I wish I’d retained more of Krauss’s last conversation with Sendak. If I could have had a novelist (instead of an historian) as my copy-editor, that would have been ideal: I want this to read more like a novel, and less like a history. But, of course, I focus here on the changes that rankle because I forget the many (many!) beneficial changes instituted by the copy editor — who, let me repeat, made some very helpful suggestions. I also focus on these things because I’ve been working on this book for over a dozen years, and (given that massive investment of time and energy) I want it to be the best that it can be. In sum, I focus on these things because I’m a perfectionist and thus have a hard time letting things go! Anyway. Enough obsessing. It’s done. As I mentioned at the top, the marked-up page proofs and the index are on their way back to the publisher. And the biography will be out in the fall! Even better, you won’t have to read yet another blog post in which I discuss writing the biography. Probably. Crockett Johnson and Ruth Krauss Biography: Final Cuts, Part 3. Does This Make My Manuscript Look Fat? I’d intended to post more of these in process, but literally had no time. 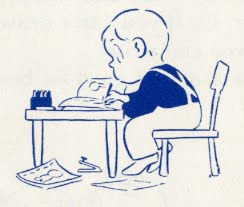 The manuscript was due back to the copy-editor yesterday — I mailed it today, and it will reach her Tuesday. Some of her suggestions were dead-on, some were not, and others were somewhere in between. I accepted the first type, rejected the second, and the third… required a lot of thought. (The copy-editor was also charged with finding ways to reduce length.) To help me evaluate my feelings about what to lose and what not to lose, I repeatedly asked myself: Does this change serve the story I’m trying to tell? So. Here are some more things you will not see in Crockett Johnson and Ruth Krauss: How an Unlikely Couple Found Love, Dodged the FBI, and Transformed Children’s Literature (coming from UP Mississippi, fall 2012). She was an only child, and her parents doted on her. In the above photo, six-month-old Ruth looks over her left shoulder at the camera, conveying the impression that she is in charge, and she wants you to know it. The photo (of course) remains, the “doting” part has been worked into the previous paragraph, and the copy-editor did a nice job in condensing the family history. I ultimately decide to let it go, since there are other moments in which an incident from her childhood permits us a glimpse of her future — which constitute some of my (clumsy, perhaps) attempts to create character. Having no experience writing fiction but requiring the skills of a creative writer, writing this biography has pushed me more than any other project has. When a late sixteenth-century song about cuckolding encounters an early twentieth-century song of a bear pretending to be a cloud, we might be reminded that Winnie-the-Pooh’s song is also motivated by both desire and deceit: To get the honey he craves, he masquerades as a cloud. Or we might not see it this way, having forgotten either Shakespeare’s song, or Milne’s, or both. Without the contexts of the originals, the combination may instead be whimsical, playful, and even lyrical. I’m not conflicted about cutting this. My other analyses of her verse are better than this, which is fine but not brilliant. And so… it’s gone! I permitted that cut because I have another similar conversation between him and Andy Rooney (which I restored). Also, Mischa Richter is well established in the book — he was a close friend of Johnson’s. Rooney was not a close friend; they were acquainted, but that’s all. So, this is a chance to give him a “walk-on” part, as it were. Back in Connecticut and unaware that they were under investigation, Dave and Ruth drove off for a brief summer holiday with their friends Marian and Gene Searchinger, a filmmaker who was then working on NBC’s Today show. Each couple in their own car, they traveled up to Nova Scotia. Planning to park the cars on the ferry, they were surprised to learn that one needed to reserve spaces well in advance. Between two pillars, there was one very small space left on the boat, just large enough for Dave’s little Austin Tudor sedan. They left the Searchingers’ car on the mainland, and the four of them toured Nova Scotia in Dave’s small car. They didn’t mind the close quarters, but getting a decent cup of coffee was a challenge. Since all four travelers required regular doses of caffeine, they developed a system. When they came upon a promising restaurant or cafe, one member of the group would enter, and order a cup. He or she would then signal to the others whether they should come in or not. The signal was a fist with one finger, two fingers, or three fingers extended — depending on the quality of the coffee. After the trip, Dave gave Gene a gift commemorating their Nova Scotia holiday. On a piece of wood, Dave painted a hand rising out of an ocean of coffee: only one finger was sticking up. I’m a little conflicted about having cut this, but how important is it to the larger narrative? I ultimately decided that it wasn’t as important to keep as some other stories were, and (a bit reluctantly) let it go. On the whole, the result of my collaboration with the copy-editor is a better manuscript. That said, I do wish I’d had more time with this. At the busiest time of the term, I’ve had to respond to a heavily-edited manuscript that represents a dozen years of my labor. On the other hand, there is almost no moment during this semester that would have been great timing. The past four months have been the busiest of my professional life. But that’s always the way. Just when you think you couldn’t get any busier, you do. Or, at least, I do. And the important thing is that the manuscript is better for this work. 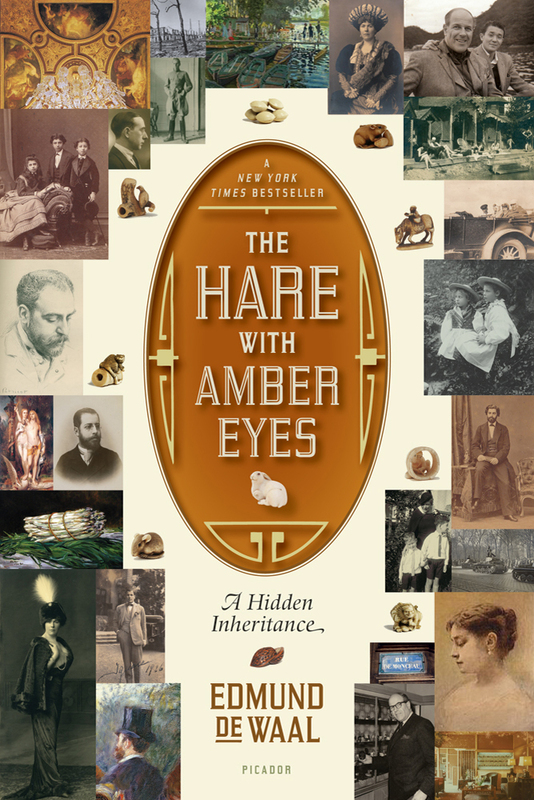 I’m really looking forward to sharing it with the world — in the fall of 2012! Should this post have proven even slightly interesting, then there’s a remote chance that posts tagged Crockett Johnson or Ruth Krauss or Biography might fail to bore you. Indeed, if you have read to this point and do not find yourself slipping into unconsciousness, you might test your stamina with some of these related posts. Crockett Johnson and Ruth Krauss Biography: Final Cuts, Part 2. The Dog Problem. Immersion in the thoroughly copy-edited manuscript has prevented me from getting more cuts up here, but there are plenty to share. As noted in the post from earlier in the week, the copy-editor was also charged with reducing the length of Crockett Johnson and Ruth Krauss: How An Unlikely Couple Found Love, Dodged the FBI, and Transformed Children’s Literature (coming from UP Mississippi in September 2012). So, the editing is quite… extensive. The Queens of Dave’s youth strained under its rapid growth. Between 1910 and 1925, Corona experienced a housing boom that ended only when there was no more land on which to build. Public School 16 opened in 1908, was already overcrowded by 1911, and siphoned off its excess population when Public School 92 opened in 1913 — about a year after Dave began attending P.S. 16. Although the development was great news for someone in the lumber business (as Dave’s dad was), the unpaved streets were treacherous for automobiles, and the absence of both speed limits and mandatory drivers’ licenses made crossing the road dangerous for pedestrians. Other examples convey the urbanization of Queens; this one is less interesting than the others. So, away it goes. Mary Elting and Franklin “Dank” Folsom found them great company, full of humorous stories. Dave and Charlotte had two dogs, one smart and the other not. They used to leave their screen door unlocked (“nobody locked doors in the Village in those days,” Mary says), allowing the dogs to go out into the garden when they pleased. The smart dog figured out how to open the door to come back inside, but the dumb dog did not. When it was raining, the smart dog liked to dash inside, and close the door behind him, leaving the other one out in the rain. Dave chuckled at the antics of his pets. 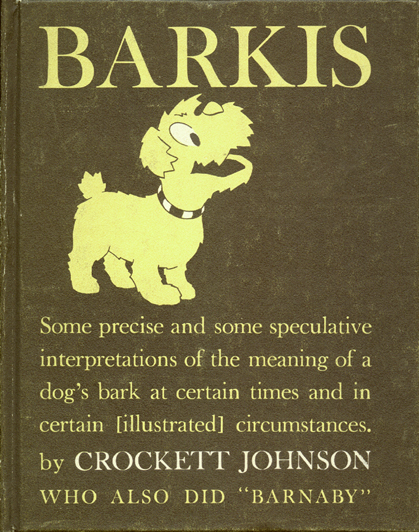 Johnson’s experience with dogs inform the creation of Gorgon (Barnaby’s dog), Barkis (from his short-lived, single-panel comic), and other dog characters. They’re less of an influence on Krauss’s work, but very much a part of her daily life. So, the book ought to have at least one dog story… and now it does! The book contains other examples of Dave’s wit. Does it need this one? Well, in the sense that there are other examples, no, I don’t suppose it does need it. On the other hand, in the sense that it sets up a later sailing story (that I’m definitely going to retain), it is important. The anecdote also helps create character, which is good. Dave’s reticent tendencies have made him particularly hard to bring to life. Ruth was much more outgoing, outspoken, lively. As a result, she’s much easier to animate on the page. So, I’ve marked this one with a post-it note. I’m thinking about it, and will return to it later. Should you have any thoughts on whether or not to retain it, do feel free to share them in the comments section, below. If you failed to find this post unbearably dull, you might also enjoy posts tagged Crockett Johnson or Ruth Krauss or Biography. Indeed, if you have read this far and yet remain conscious, why not try reading some of these related posts? Go on. I dare you. Crockett Johnson and Ruth Krauss Biography: Final Cuts, Part 1. What’s in a name? I know. You thought that me posting omitted portions of the biography was over months ago. So did I. Thing is, the copyeditor for Crockett Johnson and Ruth Krauss: How An Unlikely Couple Found Love, Dodged the FBI, and Transformed Children’s Literature (coming September 2012) was also charged with getting the manuscript shorter still. And so… there are further cuts. On the mistaken assumption that two or three people might find these interesting, I’ll share a few. Today’s concern the derivation of surnames — Krauss and Leisk (Crockett Johnson‘s real name was David Johnson Leisk). I find this sort of information interesting, but there are other proposed cuts that I find even more worthy of keeping. So, these items (formerly of Chapters 1 and 2, respectively) are cut. Derived from the German kraus, Ruth’s surname means “curly” — and her hair was curly. Though it probably originates in Bohemia, Krauss and its variants also appear in neighboring countries Austria and Germany. Preview: biography of Johnson and Krauss. First sentence & last sentence. The manuscript is still going to be cut further, but — as it currently stands — here are the first and final sentences of the book. When a stranger knocked on Crockett Johnson’s front door one mild Friday in August 1950, he was not expecting was a visit from the FBI. There, they will find a very special house, where holes are to dig, walls are a canvas, and people are artists, drawing paths that take them anywhere they want to go. “Few stories are completely perfect,” said the lion. Very grateful to everyone who has suggested alternate titles. I’ve sent my leading contenders to my editor. Should other promising suggestions come in, I will of course call his attention to them. When we decide on the title, I will announce the winner on the blog. Thanks to everyone who has participated! Things are moving at last. I submitted the completed manuscript at the end of 2010. I revised it many times, with each revision turned back by the press as insufficient. Some issues were stylistic, while others concerned length (I cut 23,000 words). I submitted the vastly improved final version on June 16, 2011. As of this past Friday (August 26), I learned that it is now going to the copyeditor, who — in addition to copyediting — will help trim the manuscript further. Earlier this month, I received an epic Author’s Questionnaire: I turned in all 25 pages of it today. Also last week, I received (form the press) the sorts of queries that signal a project moving into the next phase. I’d mislabeled a couple of images; three other images were at scanned at too low a resolution (and so I’m working on getting hi-res ones); there were a few questions about permissions (now resolved); and so on. The above is good news, but it also means that the publication date will not be April 2012 (as I’d initially reported), nor June 2012 (as I’d next reported). Expect the book no sooner than August or September of 2012. Thank you for your continued patience! And thanks to everyone who has helped! The Acknowledgements lists literally hundreds of people, some of whom are no longer with us. Thank you to all!